Partner with us for advanced materials development, specifically for your application. We combine our intellectual property and technical expertise to develop a material that suits your application’s needs. We create a custom materials solution to meet your requirements through a structured approach involving specified milestones. We will work with you from initial R&D all the way through large scale manufacturing. Your intellectual property rights are fully protected at all times (view & download our NDA). We provide advanced materials development services based on our experience with several technologies. Contact Us for more detailed information on any of our technologies, or send us a Materials Development Inquiry through our Quote Form. NEI offers cost-effective, comprehensive battery materials development, characterization, & electrochemical testing services. Our materials science background and extensive battery testing experience allows us to correlate materials characteristics with performance, helping you achieve the best cell performance possible for your material. NEI has developed a generic self-healing technology that allows polymer coatings to “self heal if scratched or cracked. To date, we have demonstrated self-healing in polyurethane-based coatings. We are implementing our technology in various polymer materials for specific commercial applications. NEI has developed chromate-free anti-corrosion coating systems for aluminum, steel and magnesium. These environmentally friendly coatings include pretreatments, primers, and topcoats and are based on nanoscale materials. The coatings provide advantages in specific applications, such as reducing the need for grit blasting by using one of NEI’s pretreatments. NEI has developed transparent coatings for polymer substrates that offer exceptional hardness and scratch resistance. Our environmentally benign coating solutions are waterborne. The composition of the coating can be tailored to suit specific application requirements. 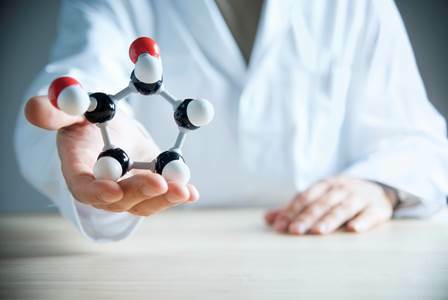 NEI’s additives for fluoropolymer fabric coatings and silicone fabric coatings resist unwanted permeation of gas through fabric, protect base fabric from environmental degradation, and provide chemical and environmental stability. NEI’s self-healing fiber-composite technology is designed to prevent growth of delamination cracks and micro-cracks in fiber-epoxy based composites. Our technology can “self-repair defects with high healing efficiency and can be implemented in conventional fiber reinforced epoxy composites. NEI has developed an environmentally friendly sorbent that removes mercury from coal-fired power plant flue gas. The sorbent has exhibited high mercury adsorption efficiency and limited impact on fly ash compared to conventional sorbents. NEI has produced sorbents that are highly efficient in adsorbing mercury and selenium from wastewater. These sorbents can treat contaminated soil and groundwater and have been engineered for other water treatment processes. NEI has developed nanoscale additives that dewater sludge more efficiently than conventionally used cationic polymers. The technology is being applied to both municipal and industrial sludge. Additionally, certain nanoscale materials have demonstrated better odor control. NEI has developed nanomaterial-based fluoroelastomers that improve the performance of seals and o-rings used in electrical submersible pumps for geothermal applications and other downhole equipment used in oil and gas drilling. NEI’s superhydrophobic surface treatment imparts superhydrophobicity to surfaces, particularly at above ambient temperatures. 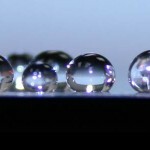 In one particular application, the superhydrophobic surface treatment increases condenser efficiency by facilitating drop-wise condensation as opposed to film-wise condensation. NEI has core competencies in synthesizing nanoscale particles, depositing nanoscale coatings on particles, modifying the surface of particles, and dispersing nanoparticles in aqueous and non-aqueous liquids.